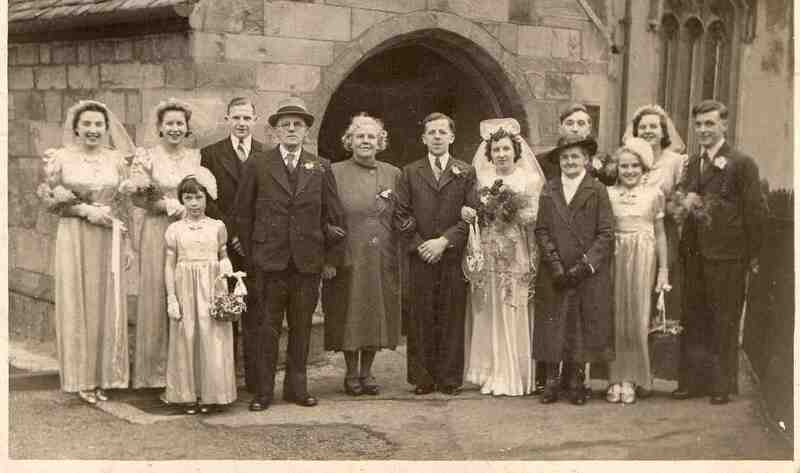 Left to right: Len Davidson, Mr and Mrs Dickson, the Bride and Groom, Mrs Goodlad, Bridesmaid Hazel Snowdeon. Behind her Joan Dicson and her husband. Other small Bridesmaid Sheila Cramp.